Ovarian Cancer Research Fund’s (OCRF) Ovarian Cycle Ride to Change the Future® this March will mark its 10th anniversary in the city where this nationally growing fundraising event all started. 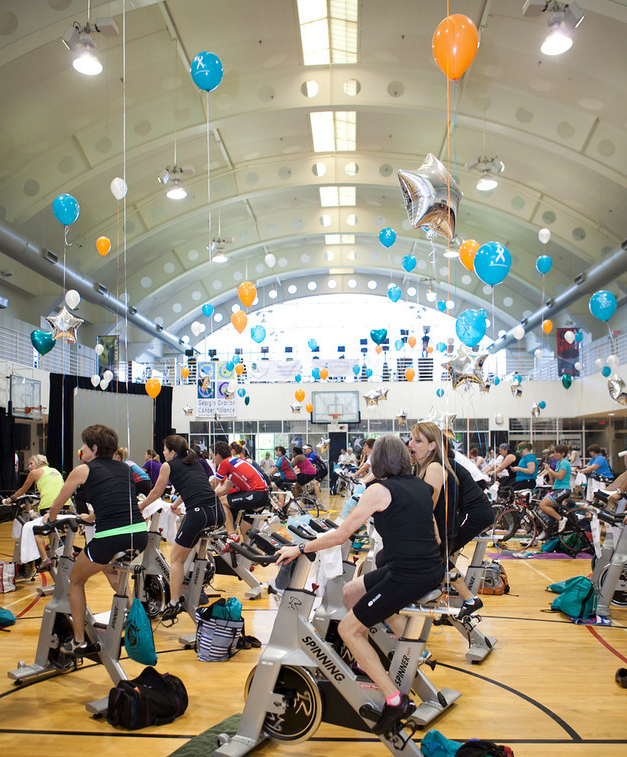 Individuals and teams are encouraged to sign up now for the 10th anniversary Ovarian Cycle Atlanta Ride to Change the Future, a six-hour indoor cycling event raising money for much-needed ovarian cancer research. This year’s ride will take place from 9:00 a.m. to 3:00 p.m. EDT on Saturday, March 22nd, at Midtown Athletic Club, located at 135 Interstate North Parkway NW, Atlanta, GA 30339. Participants in OCRF’s Ovarian Cycle Ride to Change the Future pedal toward a healthier body while simultaneously raising money for this worthy cause. When they register for the event, participants also qualify for six weeks of optional, free endurance training, culminating in the final March 22nd ride of 100 virtual miles on stationary indoor cycling equipment at Midtown Athletic Club. 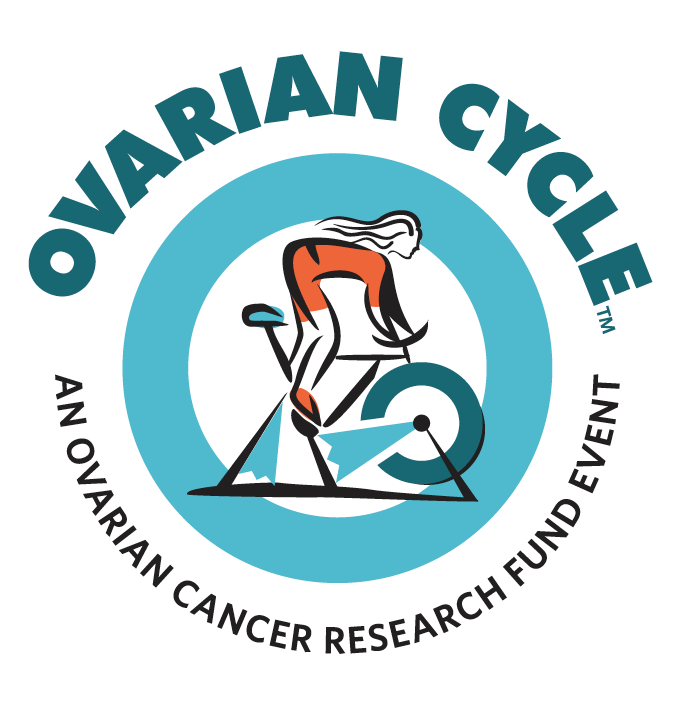 Ovarian Cycle was launched in Atlanta in 2004 and in 2012 became a signature event of OCRF, the oldest and largest charity in the U.S. funding ovarian cancer research. With annual cycling fundraisers now scheduled in at least 10 major U.S. cities, to date Ovarian Cycle has raised more than $2.1 million to fund scientific research on ovarian cancer. Participants in last year’s Ovarian Cycle event in Atlanta raised more than $162,000. The Atlanta goal for the 10th anniversary ride this March is $200,000. Ovarian Cycle is sponsored nationally by Health magazine, Coca-Cola and LUNA energy bars. Local sponsors adding their support to the Atlanta event include Midtown Athletic Club (the Host Sponsor) and The Butin Group, of St. Simons Island, Ga. In addition, some of Atlanta’s most-popular fitness clubs are providing stationary bicycles for the Ovarian Cycle Atlanta ride. They include the Host Sponsor Midtown Athletic Club, Total Fitness Revolution, Urban Body Fitness, and Attitude Fitness. For the March 22nd Ride to Change the Future event, riders may cycle solo the full six hours or they may form teams to split time on their stationary bikes, with each team member riding for any increment of one or more hours. A break is scheduled for every hour. In addition, prior to participating in the final ride March 22nd, all riders individually must meet a fundraising minimum based on the number of hours they plan to ride. The fundraising minimums are $600 if a participant is planning to ride all six hours on March 22nd (solo or as a team member) or $400 if an individual is planning to participate on a bike for less than six hours. Ovarian cancer survivors do not have to pay the $50 registration fee to ride in the event, but must meet one of the fundraising minimums prescribed for all participants. Please review the registration website for more details. Once registered, participants are given their own online page to personalize and use for fundraising, as well as the opportunity to enroll in the free endurance training, which is offered at Midtown Athletic Club. During the Ovarian Cycle event, riders may spin at their own pace. With upbeat music setting the tone, instructors will be on hand to motivate all riders and ensure a fun and exciting experience. Snacks and refreshments will be served to participants in the event and prizes and commemorative gift bags will be given away. Participating riders also will receive commemorative performance T-shirts. Participants need not have prior cycling experience or be in good shape, but can expect to reap rewards in both areas if they start training now. The registration fee covers the six weeks of optional, free endurance training at Midtown Athletic Club, beginning Feb. 8th. In addition, whether participants are riding for one hour or six, they can prepare for the March 22nd indoor cycling event by using the tools provided in the online Ovarian Cycle™ Fit Kit. This training guide, with tips and tricks to help get in shape for the final ride, can be downloaded from the registration website for the 2014 OCRF Ovarian Cycle Atlanta Ride to Change the Future®. People unable to attend or ride on March 22nd can participate as “virtual riders” to support the ovarian cancer research cause. There is no registration fee and no fundraising minimum for virtual riders. To sign up in this manner, be sure to indicate "Virtual Rider" during online registration. Founded in 1994, Ovarian Cancer Research Fund is the oldest and largest charity in the United States funding ovarian cancer research and ranks third in overall ovarian cancer research funding. Our mission is to fund scientific research that leads to more effective identification, treatment, and ultimately a cure for ovarian cancer. Ovarian cancer is the deadliest of all gynecologic cancers. There are an estimated 22,000 new cases of ovarian cancer in the United States each year and, annually, about 15,500 women die of the disease. Currently, there are no effective means of early detection. Since 1998, OCRF has invested more than $57 million in ovarian cancer research through grants to scientists at 65 leading medical centers in the United States. Thanks to the generosity of our individual donors, our investigators are developing innovative strategies for early detection; exploring the genetics that increase risk for ovarian cancer; understanding the underlying molecular biology of the disease; identifying new and better targets for treatment; and deciphering how and why ovarian cancer spreads, and how to stop it. Eighty-six percent of every dollar raised for OCRF directly supports our programs earning OCRF a coveted four-star ranking from the independent charity evaluator, Charity Navigator. In 2012 and again in 2013, OCRF received a record-setting number of grant applications. Visit www.ocrf.org to learn more and join the fight.